Events, News & more... sign up to keep up to date with all the latest news, events and more at Billingham Rugby Club. Our main aim and company vision is to provide our customers complete satisfaction and peace of mind from installation and through out the lifespan of the product . Billingham windows has been trading for 26 years offering our customers outsatnding workmenship and peace of mind that there garuntee will last its designated time period. 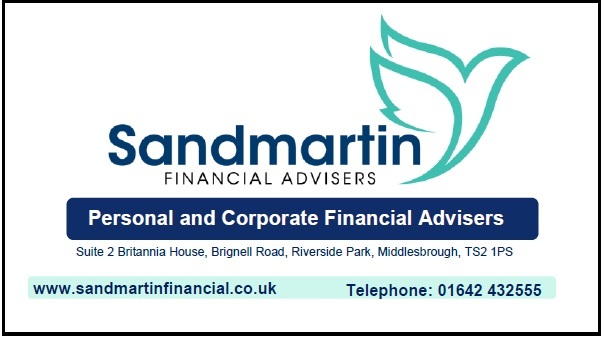 Sandmartin specialise in face to face financial planning advice. You will speak to a professionally qualified adviser for your personal and business financial planning needs.